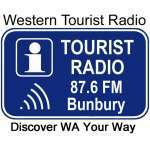 Western Tourist Radio operates stations on 87.6FM in Bunbury, Busselton, Dunsborough and Cowaramup. The radio programs promote the unique attractions of the local area and hinterland towns and include stories about the area told by local people as well as featuring local musical talent. Our website is a WA Independent Holiday Network promoting attractions and accommodation with a focus on smaller businesses that you might not find on more high profile websites. WTR owner, Barry Green, also owns Boronia Farm ( www.boroniafarm.com.au ) , a Farmstay / Rural Escape at Donnybrook, so understands that it is the smaller Mum & Dad businesses that provide the most authentic experiences for visitors to the South West.